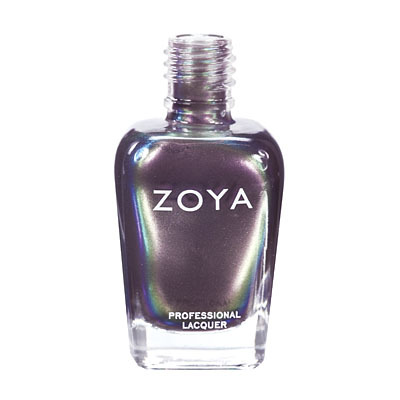 Nimue by Zoya can be best described as a smoky muted thistle purple with blue and mauve tones and a silvered metallic finish. An unexpected soft metallic for an antiqued nail look. It`s actually lighter than the picture, but it`s so sophisticated. Not an overpowering purple, and not glitzy. The shimmer brings a nice fun quality to it. So pretty, goes on great, comes off easy. I love it! I was super excited about this polish...but what I got doesn`t quite match the website, both in picture and in description. Nimue is clearly a purple, but when i tried it out, it almost looks brown on my nails...it`s some strange cross between purple and brown. I`m not getting any of the shimmer indicated in the description as well. It`s so different that if I didn`t know better, I`d think it was mislabled. It`s dark and covers well, goes on well, dries quickly, as expected, just not the color I was expecting! 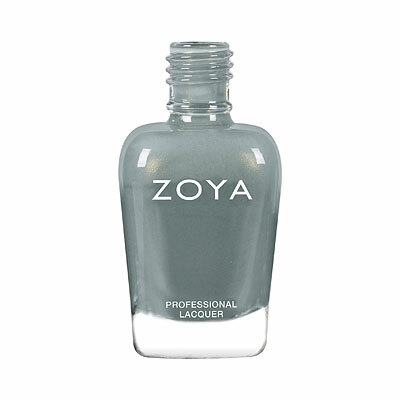 Zoya Nail Polish | NimueLovely. I give a four simply because it is darker than I had expected it to be. However, that does not change the fact that this is a grand polish. I love it! 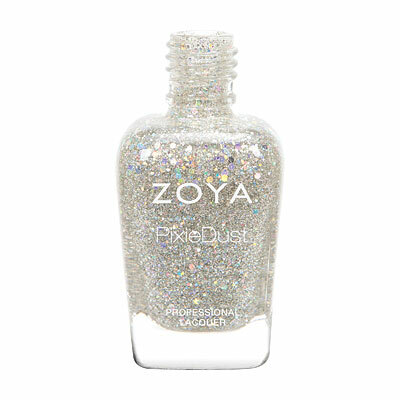 Zoya Nail Polish | NimueWOW! I`m so glad I bought this color! The online swatch doesn`t even begin to show how beautiful Nimue is. Nimue applies evenly and you could probably get away with one perfectly-applied coat. Two coats are completely matte. Just watch your brushstrokes during application, because they will show slightly after Nimue dries. 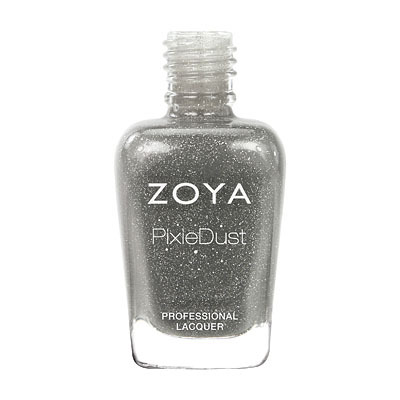 This is a dusty purple with subtle silver and blue flecks: perfect for cool skin tones. It`s interesting and sophisticated. Thanks for this one, Zoya!